2017 will see TaylorMade Golf hang their hat on an all-new line of golf balls in the premium market. The TaylorMade TP5 and TP5X golf balls will be on Canadian retail shelves on March 1, 2017. The five layer products build on a history of the company dabbling in that end of golf ball design. That said, this is the first time that both premium ball models for the company feature five layers. The company says that by using the number of layers and new features of the balls, including a new Tri-Fast core and Dual-Spin cover, they were able to produce a golf ball that they feel does not compromise in the areas of distance or short game control. 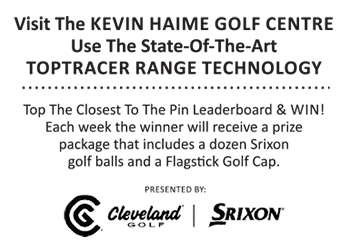 We recently spent some time with Eric Loper, Director of Product Development Golf Ball Research & Development at TaylorMade-adidas Golf, to learn more about these new products.